Most families are willing to go to major lengths to help their relatives. One younger sibling may live with an older sibling while attending college. Grandparents will allow their grandchildren to visit a whole summer and give the parents a break. And sometimes a relative will sell a home to another relative with no down payment. 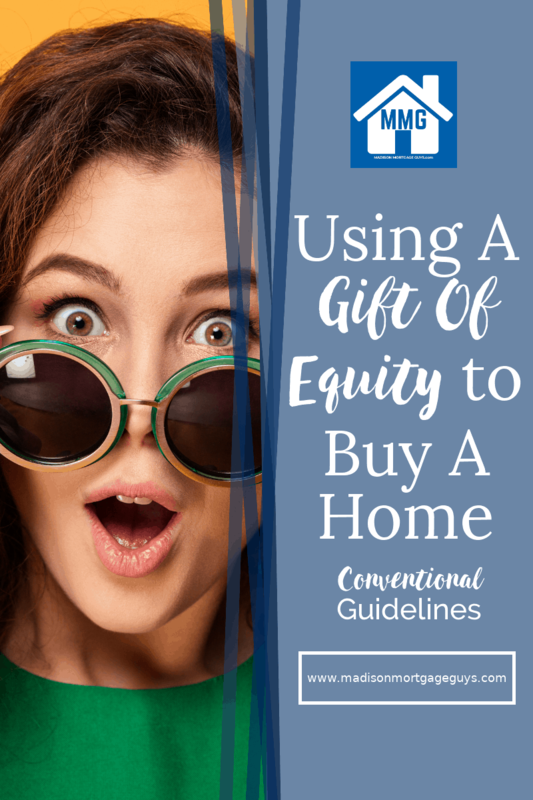 The down payment comes in the form of a gift of equity, and it can be extremely beneficial to the buyer on a conventional loan. When a buyer owns a home that is worth significantly more than the mortgage balance, the difference is called equity. In the case of an older person that has paid on a home for many years, they may have only a few years left on their mortgage, thus a lot of equity. For example, if someone purchased a home 22 years ago with a 30-year mortgage, they would have only 8 years left on their home loan. If the home is currently worth $250,000 but the balance on the existing loan is only $62,000, then that would mean the owner has approximately $188,000 in equity. 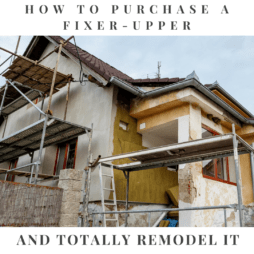 Instead of asking the buyer to come up with a 20% down payment, the owner could gift 20% of the home’s value to the buyer. This would allow the buyer to apply for a loan that is only 80% of the home’s value. So, using some of the information from above, we could come up with this hypothetical example. Roger is 26 years old and would like to buy a home. His parents have been paying on their home for 22 years. The balance of their mortgage is currently $62,000. The home is valued at $250,000. The parents would like to downsize and sell their home to Roger. The parents offer to sell the home to Roger for $250,000. However, they also offer a gift of equity of $50,000. Therefore, Roger will need to contact his local mortgage lender and apply for a loan of $200,000. This would allow the parents to receive a profit of $138,000 after giving away the equity to their son and paying off the old mortgage. One of the best advantages of the gift of equity is avoiding private mortgage insurance, also called PMI. 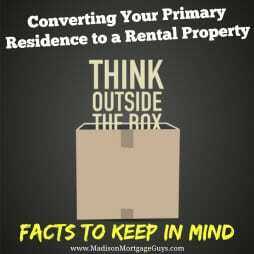 Since a conventional loan charges PMI any time the borrower gets a mortgage over 80% of the home’s value, the gift of equity avoids this charge. 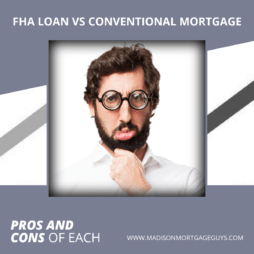 Over the course of the loan, the lack of PMI could save the buyer thousands and thousands of dollars. As with any conventional mortgage, there will be closing costs involved. The home appraisal, recording the deed at the local county registrar’s office, property taxes, and several other items will all need to be paid at the closing attorney’s office when the deal is closed. For a conventional loan, guidelines state that the seller may pay up to 3% of the sales price in concessions towards closing costs. Using our example, this would mean the parents could provide $7,500 towards the closing costs. This would reduce the amount of profit they receive from the transaction, but still allow them to assist their son Xavier with the purchase of the property. A gift of equity may result in some tax issues. The IRS puts a limit on the amount of cash or equity that a person can give to another. For example, for the year 2019, the maximum amount of money or equity that can be given to a person is $15,000. Any amount over this will result in the GIVER of the gift being required to fill out certain forms with their annual tax return. It is best to consult with a local accountant that is familiar with gift and estate taxes in order to get the correct answer about tax consequences with a gift of equity. It is very important to remember that the home will need to be appraised by an independent rep in order to determine the home’s actual value. For instance, in the above example, if the parents were trying to sell the home for $250,000 but the appraiser calculated the home’s worth at only $190,000, then the lender would not allow the transaction to go through. The sales price would have to be lowered along with the size of the equity gift. According to conventional loan guidelines, there are some restrictions on the gift of equity transaction. Specifically, the seller of the home must be directly related to the buyer. The lender will want to see a transaction between a parent and child, or a grandparent and grandchild or an Aunt/Uncle to a nephew or niece. It is not common for a 6th cousin twice removed on the mother’s side to sell to a distant relative. It is possible that the lender will want to see a letter from the giver to the recipient. In a nutshell, the letter will need to describe the relationship between the two people, the amount of the gift of equity along with a statement that this is truly a gift and there is no expectation that the amount will be repaid. Your local lender can provide a template of the letter for you to use in order to satisfy this requirement. Completing a gift of equity transaction will definitely take some planning and negotiation between both sides. However, it can be a huge benefit to the buyer. This is one of the few ways of buying a home without the need for a large cash payment and also without the need for private mortgage insurance. It is also a way for a person to significantly help out one of their relatives without giving them a large amount of money while still taking advantage of the equity in their home. 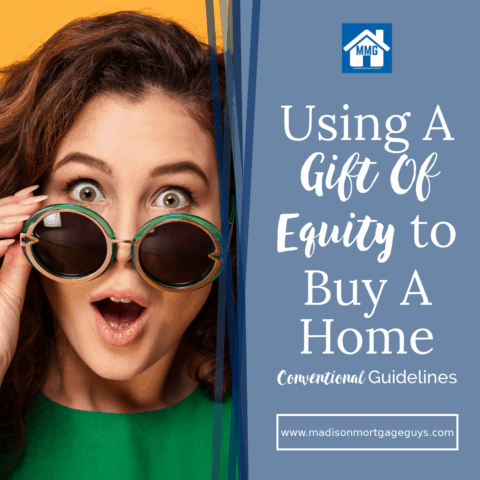 About the author: This article on “Using A Gift Of Equity To Buy A Home: Conventional Loan Guidelines” was written by Luke Skar of MadisonMortgageGuys.com. As the Social Media Strategist, his role is to provide original content for all of their social media profiles as well as generating new leads from his website. We provide award winning customer service to clients who need to purchase a home or refinance an existing mortgage. Our branch currently serves Wisconsin, Illinois, Minnesota and Florida. On our website you will find state specific mortgage program information for all states including information on VA loans. For example, take a look at our VA Loan page for Florida.